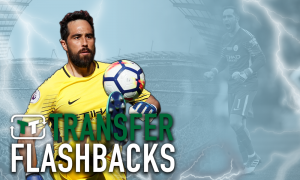 What could have been: Man City once ran out of money to land £15.8m maestro - Opinion | The Transfer Tavern | News, breakdown and analysis on all things football! It boggles the mind to Manchester City were closing in on signing Ballon d’Or winner Luka Modric for a bargain £10 million back before the reign of Sheikh Mansour. It may come as a bit of a surprise to City fans to learn that they could have been the home of World Cup runner-up and serial Champions League winner Luka Modric, one the most gifted midfielders of his generation, in 2008. 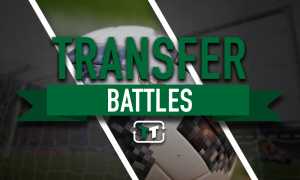 Indeed, according to the Daily Mail, a deal was in place to sign the then-22-year-old midfielder from Dinamo Zagreb for a nominal £10 million only for it to collapse when former owner Thaksin Shinawatra had his assets frozen. Needless to say, Manchester City would have enjoyed Modric’s services. With quality slowly dripping in from far and wide, the Croatian would have comfortably formed backbone of City’s ascent up the table; a stalwart presence to help bind all City’s fresh and exciting talents. Instead, Tottenham Hotspur had the honour, where he joined for a fee believed to be around £15.8 million (the Telegraph). The little magician honed in on his playmaking talents in the Premier League quite comfortably emerging as one of the most technically gifted players in the country, and though he was small, which typically holds back a lot of prospective talents, he immensely gifted with the ball at his feet; shifting the play with relative ease, using both feet to meticulously pick apart his opponents defences. Tottenham had something special on their hands for the four years he was at the club. They really did. However, with the ‘bottle job’ status looming heavy over their heads, it was only a matter of time before the Modric’s ambitions outweighed the realities of Tottenham. And when serial winners Real Madrid come knocking, a player really only has one question to ask: how soon do you want me? Modric may have experienced a turbulent start to his career in Madrid failing to adapt to Jose Mourinho’s disciplined tactics, and overcome his obvious favouritism for bigger players, but he soon realised the way the hearts of the fickle Real Madrid fanbase: silverware. In the six years he has spent with the club (so far) the Croatia international has won four Champions League’s, four FIFA World Cup medals, one La Liga title and a Ballon d’Or.